This Figure is Out of this World! 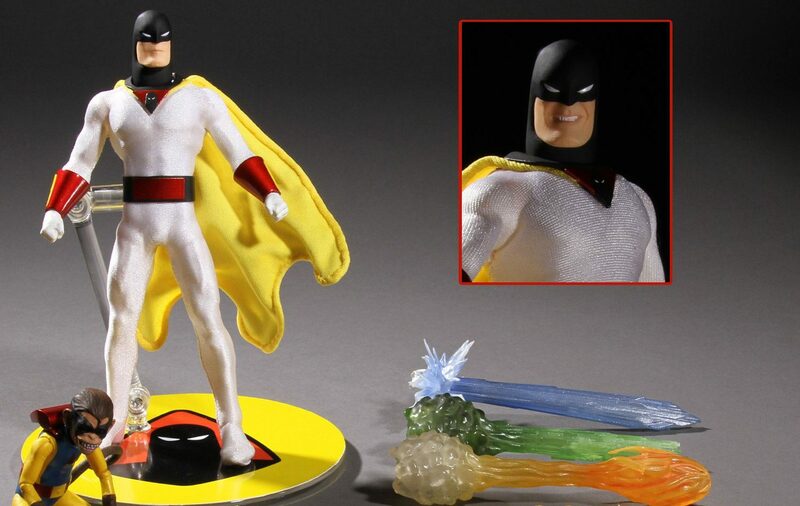 The One:12 Collective Space Ghost includes each of these rays as meticulously crafted accessories that attach to Space Ghost’s hands to create dynamic action poses. Using his belt, he not only has the ability to fly but the power of invisibility as well. The belt also allows him to phase through walls and other solid objects. A communicator is concealed in the silhouette on his cowl collar, allowing him to interface not only with the Phantom Cruiser and his base on the Ghost Planet, but Blip the monkey as well. Featuring over 32 points of articulation, intricate sculptural work, incredible costume detailing and tons of accessories, the final product creates an iconic classic vision with a “real world” look. Space Ghost comes with his trusted companion, Blip the monkey. Blip features an exceptionally realistic sculpt and has over 10 points of articulation.